T GIF (almost)! This week it is a special edition of my social blog hop Friday. I am thrilled, because I am featured co-hostess of Jay’s Follow Who? Social Weekend. SWHop15…Yes… Number 15 here we go. Thank you, thank you again and again for your continue support. Keep spreading the word so that we can all make some new friends. “Photographer and traveler all my life, I moved to New Jersey in 2011. I lived and worked in Germany, Switzerland, Australia and the USA, but traveled to a lot more. On my blog I am sharing my photography, my experiences & tips, recipes and what ever else comes to mind. I only started blogging more seriously in 2012, and it has been fun! I met a lot of great people and look forward to meeting more – YOU!” Please give her a big welcome and make her feel at home. 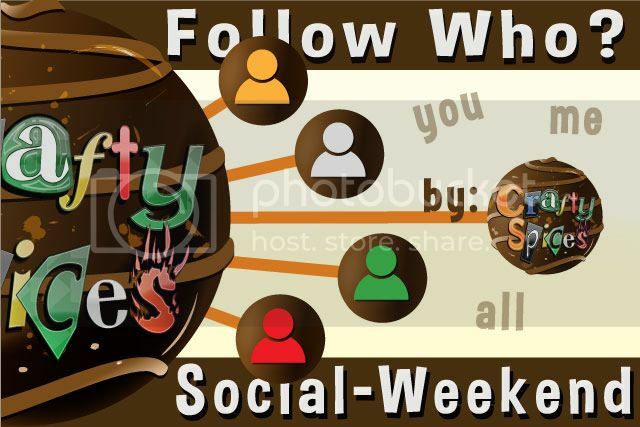 Remember to come every week to link, follow, be followed, and like as you like :). #SWHOP. We love to like and follow back. Link up, like & follow, leave a comment below with direct links FB & twitter, we will stop by.Let’s get the Party started by spreading the Word, the more people know about it, the better for you, for me and for all. Please tweet about this Hop. Follow and like your Hostess and Co-hostess. Link only in the appropriate category Blog, Facebook Fanpage, etc. Make new Friends… Hop, hop, link, like and follow back. Direct link to your Site.